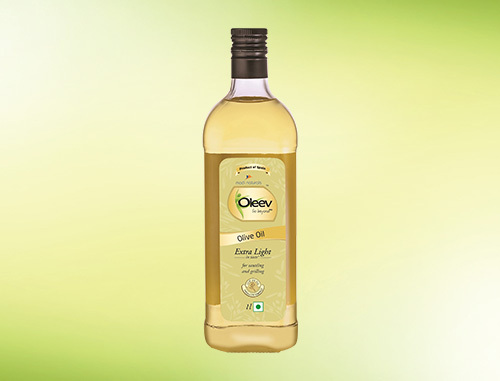 Oleev Extra Light Olive Oil is made with select olives and processed in a scientifically-advanced environment. It is a healthy alternative to other regular edible oils. Oleev Extra light is nature’s storehouse of many healthy nutrients giving health and goodness to every part of the body. Low SFA results in smooth blood flow, leading to higher energy levels. Low on SFA and high on energy, Oleev Extra Light brings you the gift of health. SFA when eaten in excess clogs arteries and blocks the blood flow. Low SFA ensures a smooth blood flow, resulting in higher energy levels. Antioxidants like Polyphenols and vitamins in Oleev Extra Light slow down the ageing process and provide excellent immunity. Digestion is easier with Oleev Extra Light as it slows down the acid overproduction.